All MU faculty and staff receive an official university email address. All university communications are sent to this account. All MU faculty and staff receive an official university email address. All university communications are sent to this account. The maximum message size is 50 MB for both inbound and outbound messages. 14.5 GB — you will receive a warning that your mailbox is approaching the size limit. 14.75 GB — you will be unable to send email. Over 15 GB — you will be unable to send or receive email. 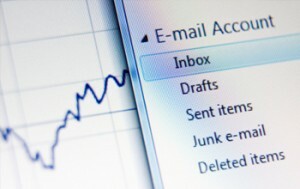 Be sure to regularly delete unneeded email so that you remain under the quota! Faculty and staff email is available to any currently employed MU faculty or staff member or eligible retiree. There are several options available for accessing email on and off campus. Desktop email clients (such as Outlook) provide on-campus email access. Webmail makes off-campus access easy. Webmail offers easy access from anywhere with Internet access and a web browser and offers a variety of useful features. Outlook has sharable full-featured calendaring, a task list, a contacts database, mail filters and more. Mac Mail is the Macintosh email client pre-installed with OS X.